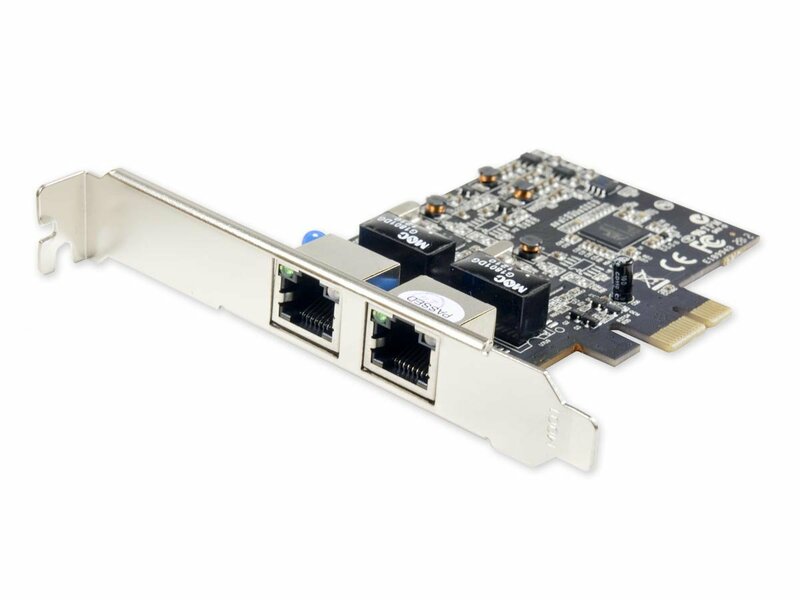 I’ve been hearing good things about the “Syba Dual Port Gigabit Ethernet Network PCI-express x1 Controller Card SY-PEX24028.” If you’ve got a spare PCI-express x1 slot and you’re looking for a cheap (less that $50) dual port NIC, give this one a shot. It’s a no frills dual port NIC, but for a lab it should work just fine and should save you a few bucks compared to the cheapest dual port Intel NIC. This entry was posted in Home Lab, Whitebox. Bookmark the permalink. 13 Responses to Need a cheap VMware ESXi dual port lab NIC? Hi Ryan, Have you used this card in ESXi? What version? Do you have to load any drivers to get it to work? I have a 5.1U1 lab box that i would like to add some additional NICs to I only have PCIe x1 slots left on my board. Just trying to make sure it will work before i order. Thanks! Hey Mike, yep I’ve used it. Works great in a couple boxes running 5.1U1. I know of a few others using it as well! I just upgraded to ESXi 5.5, from 5.1U1, in my lab. I am using a Dell XPS 8500, which has an onboard NIC utilizing the Realtek 8168 chipset. I injected the 8168 driver into a custom 5.5 ISO, ran the install, the NIC was recognized, and all is working fine. I would like to add additional NIC ports and am interested in the SY-PEX24028, as my system only has x1 slots available for use. I understand the SY-PEX24028 utilizes the Realtek 8111E chipset. My understanding, now that I have injected the 8168 driver, the SY-PEX24028 should work out of the box. Am I correct or will I need to inject an additional driver? I would think you’re probably ok. No way to really know on this stuff unless you give it a shot. Keep us posted! I’d be curious to hear if it works. Gotcha there; will post an update on how I make out. Received a SY-PEX24028 today; installed and both NIC interfaces were recognized out of the box. Also, tested connectivity of both interfaces and traffic passed without error.